It was about 9pm when we arrived at our hotel in Brasilia’s Sector Hotelerio Norte, a hotel zone in the north wing of the capital city. After check-in, we went out for a walk, hoping to find something to eat. Such a big contrast from the Pantanal! At Sector Hotelerio Norte, we were embraced by modern hotels and service apartments. We were quite surprised to find that other than hotels, nothing else really existed except a convenience store at a gas station and a busy McDonald’s restaurant. 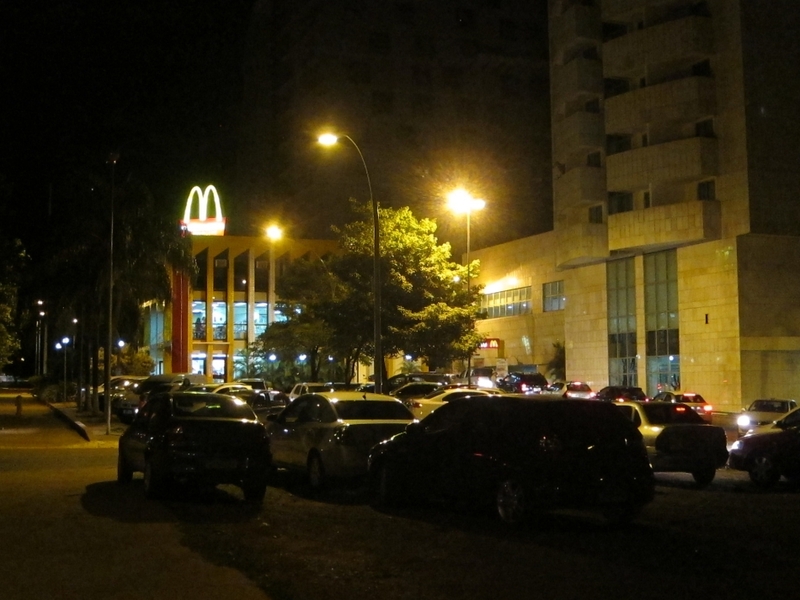 It looked like that McDonald’s was the only place that one could go outside of a hotel for a meal in the hotel zone. We woke up the next morning and were delighted to find that the football stadium was not far away from our hotel. It reminded us of all the construction works we saw since we arrived in Brazil: airport expansion in Foz do Iguacu, Cuiaba and Brasilia, train line construction in Cuiaba, beautification of public space pretty much everywhere in Cuiaba and Brasilia, etc. The nation seemed to be gearing in full speed for the upcoming World Cup 2014 and Olympic Games 2016. This entry was posted on October 23, 2013 by Blue Lapis Road. 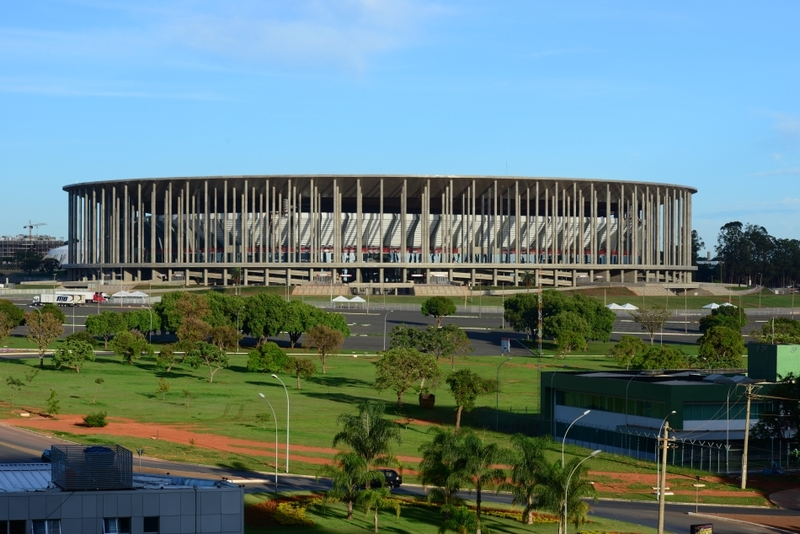 It was filed under Brasilia, Brazil, Day 11 to 20 and was tagged with Architecture, Brasilia, Brazil.